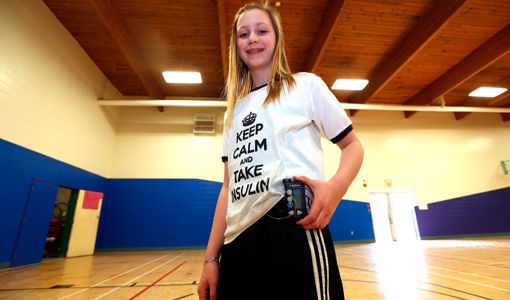 Nova Scotia Insulin Pump Program Renewal: It’s renewal time! If you are a current member of the Nova Scotia Insulin Pump Program and you need coverage in 2019, submit your renewal forms by Dec. 31, 2018. For more information, contact: Courtney Fortune 902-470-6707 or NSIPP@nshealth.ca. We know that Nova Scotians with diabetes want access to the treatment options that work for them. But insulin pumps and pump supplies can be expensive. That’s why the NSIPP was created. Our program has recently expanded. As of April 2015, we help Nova Scotians who are 25 years old or younger with the cost of both insulin pumps and pump supplies. The program is based on family income, and family size. Families with lower incomes will receive the most help through our program. This is to ensure we can help the people who can least afford to pay. Like our Family Pharmacare program, there is an annual copayment. To find out if you may be eligible for funding and to calculate your estimated copayment, check out our financial eligibility calculator. Insulin pumps aren't for everyone. They can cause serious health risks if they're not used properly. To find out if you are ready for an insulin pump, read Are You Ready To Be A Pumper questionnaire. Visit Diabetes Care Program of Nova Scotia website to find the diabetes centre nearest you.